Taubenreuther is doing an excellent job keeping to schedule and insuring that I am informed of progress on the truck build. 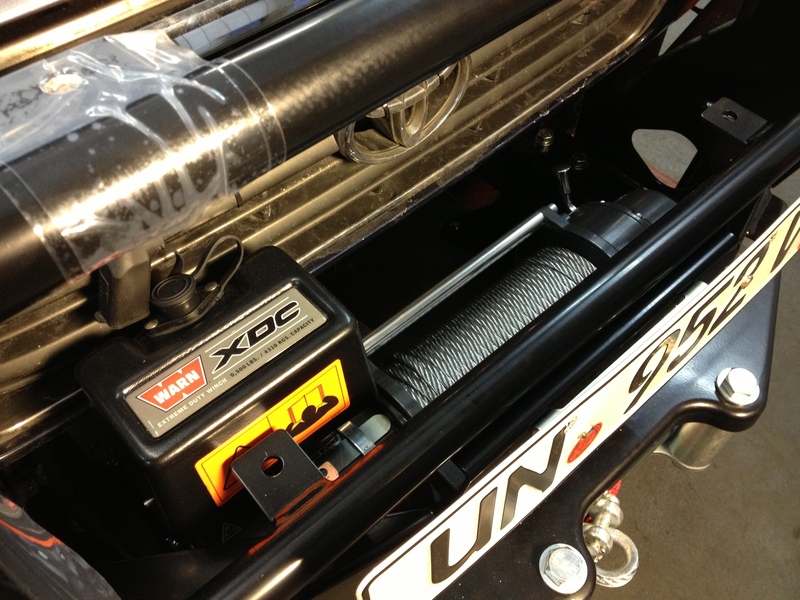 In addition to completing the front bumper, dual battery system, fridge, and drawers last week, they have installed the new Warn XDC 9500 lb. winch, and the Safari Snorkel. I was also advised that the rear bumper has just come from being powder coated. 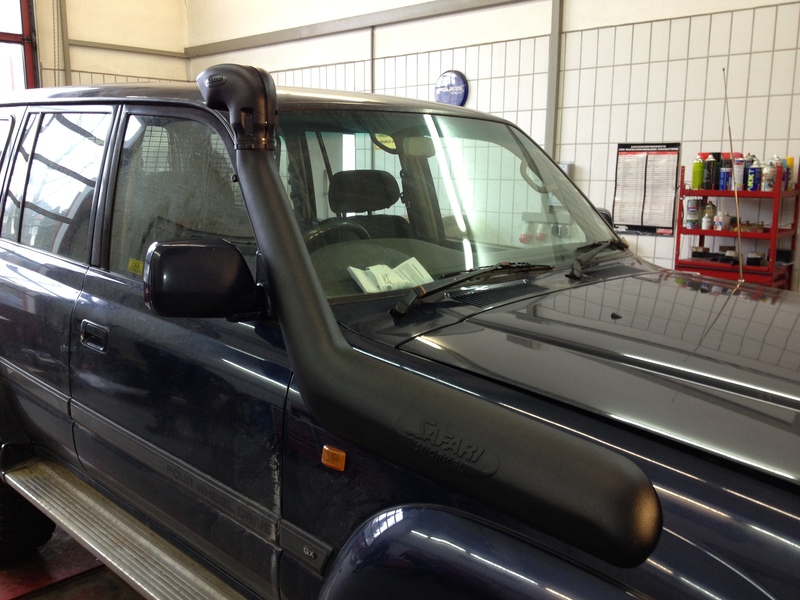 Safari Snorkel – to keep the air intake above water when fording rivers. Six of the lights from Expedition Lighting Systems arrived today and four more will arrive with the roof rack. 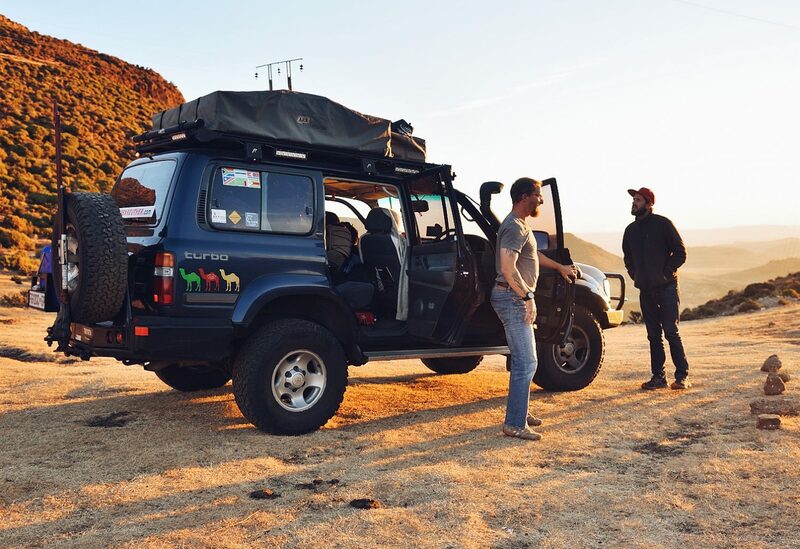 There will be one 42″ spot light attached to the front of the roof rack, two 3″ x 1″ lights will attach to the front corners and face outward at 45 degrees. There will be an 12.5″ flood on the front of the driver’s side, one 22″ spotlight on the center of the driver’s side, and one 12.5″ flood on the rear of the driver’s side. There will be one 12.5″ flood in the rear and the passenger’s side will mirror the driver’s side. I told Expedition Lighting they should have a commercial of an astronaut looking down from space and seeing a bright light. From his point of view the camera swoops down to earth to reveal the light source as, drum roll……… my truck. Expedition Lighting Systems has come through on all of their promises and in a timely manner.